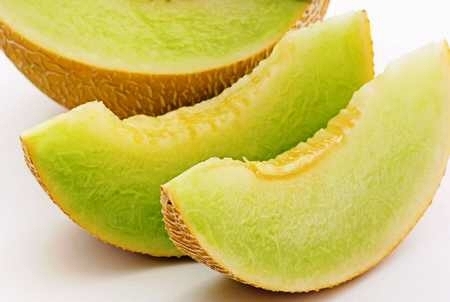 and enjoy sweet, flavourful watermelons,muskmelons, and honeydew this summer! There are few things better on a hot summer day than sitting down to juicy, home-grown melons. 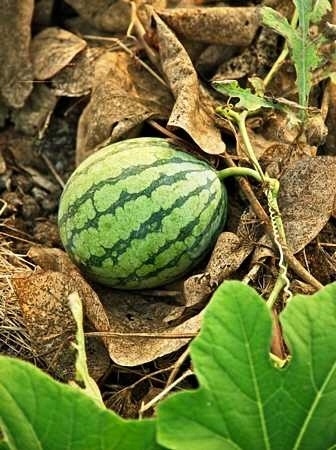 All melons are pretty easy to grow, so no matter if you are new to gardening or an old hand, make sure you plant some. That said, you can improve the flavour of the fruit if you do not water as often as the fruit ripens. 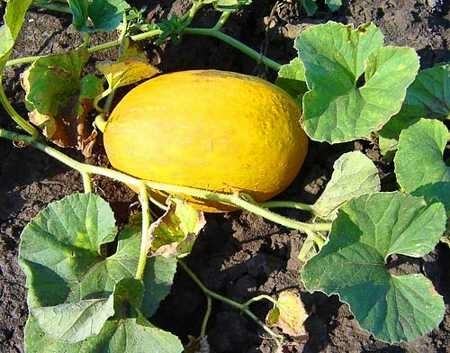 A good technique is to cut back on the water once the plants have begun to set fruit because overwatering dilutes the melon's sugars and makes the flavour weaker and less sweet. 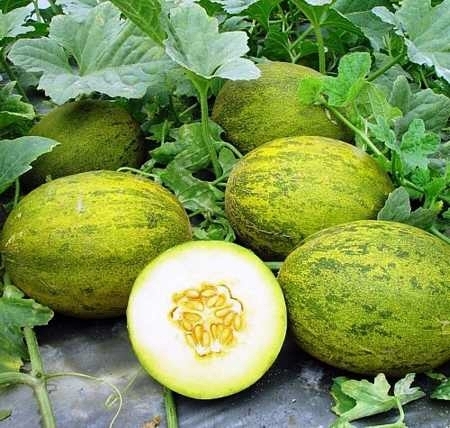 Melons are heavy feeders and from the time they start growing until the first flowers appear, melons need a steady supply of nutrients. Fertilize at planting and then every 3 to 4 weeks during the season. Avoid nitrogen heavy fertilizer, which will produce more vine than fruit. 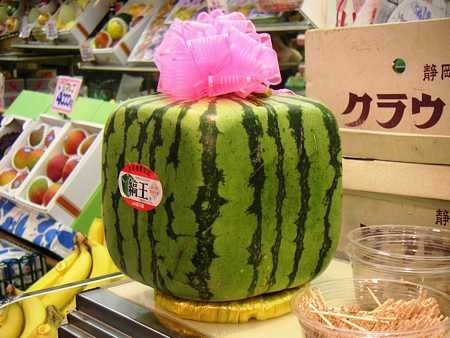 Now, if growing melons turns out to be too easy for you, try doing it the Japanese way: In Tokyo store space is very limited, but there are a lot of customers to sell to. The stores however, cannot have round watermelons because they take up too much room, and they have too much empty space around them. So they came up with the idea to grow melons inside a box! When the melons are fully grown, they simply take them out of the box and they can be stacked. It cuts down on transportation costs, and the grocery stores can handle them better.